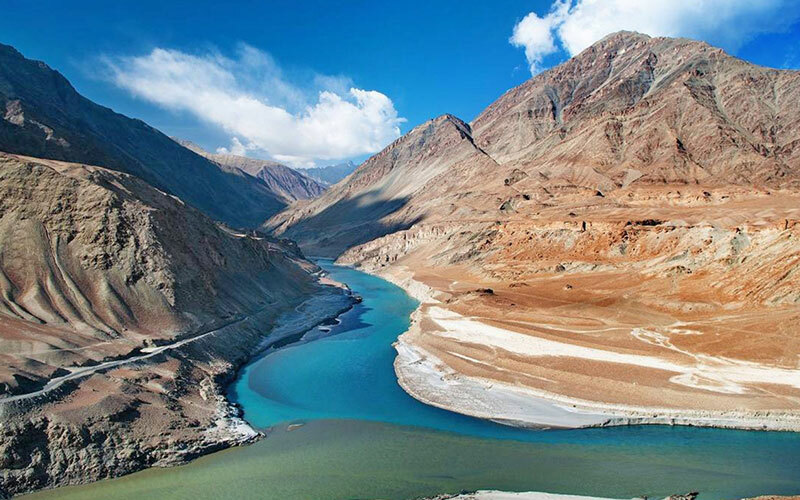 Situated at an altitude of 2700meter and 4500 meter high in the Himalaya Ladakh is Trans Himalayan region. It is the largest but sparsely populated area of Jammu & Kashmir. A barren landscape, the population of the region is largely mixture of Buddhist and Muslims. 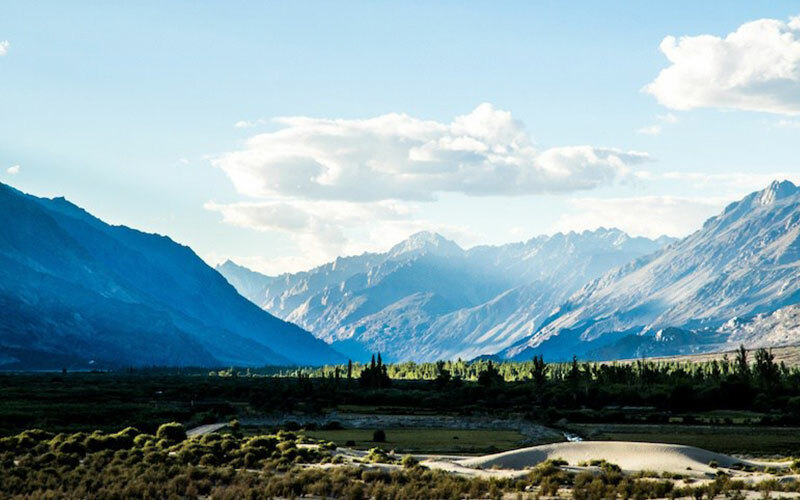 Known for its natural beauty, the Ladakh is preferred by travelers for its challenging terrain and is a favorite destination among adventure seekers. The Buddhist pilgrims from all around the world visit to learn about the Tibetan Buddhist culture and visit has more often since the exile of Dalai Lama from the Tibet. 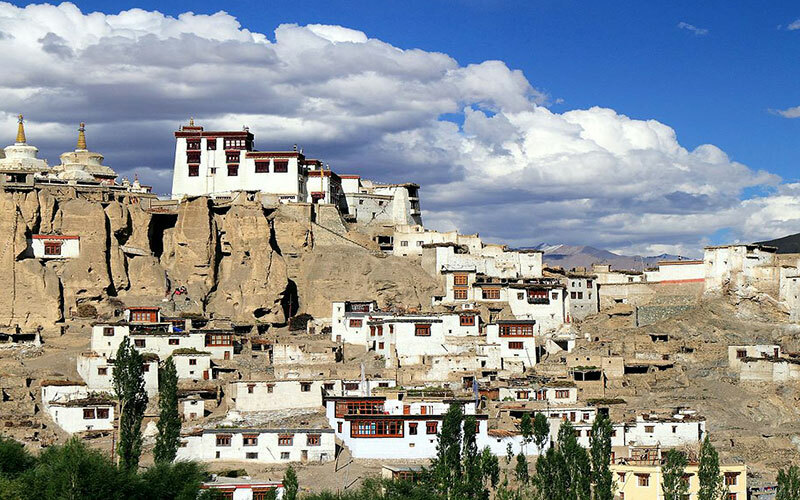 The architecture of Ladakh is far closer in style that of Tibet, both of residential buildings and of the monasteries you will observe rather a Tibetan influence instead of Indian impression. With respect to gender freedom the Buddhist women in Ladakh and Tibet has more liberty in comparison to rest of India.The famous Silk Route, a famous business connect Middle East and east also passes through Ladakh. In ancient time traders carried spices, brocades, pearls, carpets, tea etc. and Leh and Kargil were thriving trading centres. 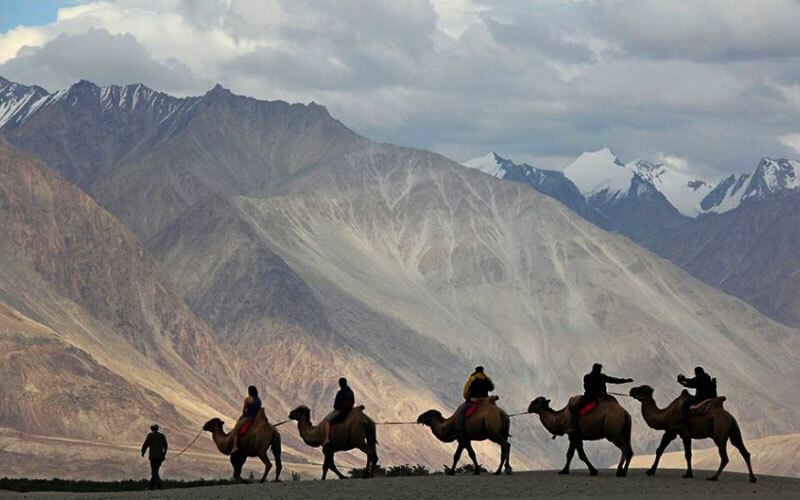 The main regions of the Ladakh territory are Kargil, Leh, Nubra and Zanskar. Morning visit Phyang monastery which is 17 Km from Leh built by Tashi Namgyal in the later half of the 16th century AD. It belongs to the Red Cap sect of Buddhists. Afternoon we visit Matho and Stakana monastries. Today we visit Shey, Thiksey and Hemis monastery. Shey Palace and Gompa is situated on a hillock 15 Kms upstream from Leh, it was once the residence of the royal family. According to tradition, it was the seat of power of the Pre-Tibetan kinds. A 7.5 mts high copper statue of Buddha, plated with gold and the largest of its kind, is installed here. Thiksey is one of the largest and architecturally most impressive Gompas. Hemis Gompa is 40 Kms from Leh, it is the wealthiest, best known and biggest Gompa of Ladakh. Its popularity stems from the major annual festival held here in summer. The festival is in honor of Guru Padma Sambhava's birth anniversary. Early morning, we head to Nubra Valley via the world's highest motorable road (5602 Mts) Khardungla pass. Upon arrival, check into the hotel/camp. Evening is at leisure. 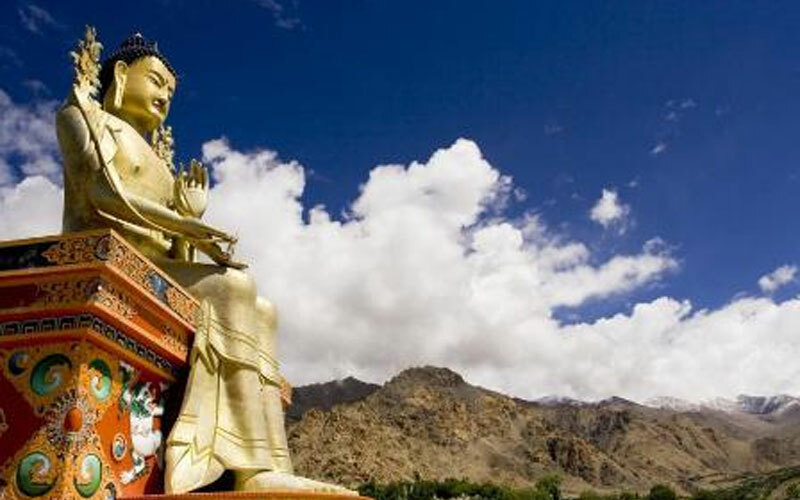 Enjoy an excursion to Lamayuru monastery which is the oldest holy site in Ladakh. Entry fee in this monastery, you can offer whatever you can. Rizong Gompa is known as the paradise for Meditation and Chulichan nunnery. Below the Rizong monastery; around 20 Nuns resides at Chulichan. They provide food and clothes to the monks and perform morning and evening prayers. While driving back to Leh, visit Likir monastery on the way. Founded in the 11th century and rededicated to a different monastic order in the 15th century, the earlier Gompa of the monastery was destroyed in a fire. The present Gompa dates back to the 18th century. Also visit Spituk monastery stands prominently on the top of hillock commanding a panoramic view of the Indus Valley for miles. Many icons of Buddha and fine Thankas are to be found in this 15th century Gompa. The Gompa also houses a collection of ancient masks, antique arms, and an awe-inspiring image of Mahakaal. After breakfast fly to Delhi. Assisted transfer to pre-booked hotel in Delhi. Time is free to explore the city and doing your last minute shopping etc.